1. A new roof will protect your home. As a roof deteriorates and ages, it becomes less able to protect your home from the elements. This can lead to mold growth within certain hard-to-spot areas and can also impact the structure of the home as well. If you have a roof that is in poor shape it will eventually wear out the top of your ceiling as well. 2. A new roof will come with a warranty. Paying a contractor for a roofing project can be fairly expensive. However, if the roofer is competent they will provide you with a warranty for their work in order for you to ensure that it is professionally done. Yes, we at Shelton do provide that warranty. 3. A new roof will increase the overall value of your home or office building. A new roof is not only safer for the inhabitants of your home or for the employees of your business. It is also an investment. According to some reports a new roof on your home will increase the overall resale price by an average of $12,000. 4. A new roof will decrease your heating bill and keep you warm. One good metaphor to use is to think of your roof as a “hat”. Much like a hat will keep your head warm, a good roof on your home or business will keep heat in your home instead of escaping. If you live in a cold, drafty home then you might consider having a roofing contractor check your roof for any problem areas and offer their recommendations. 5. 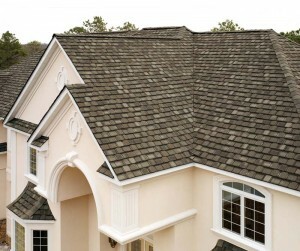 A new roof will give your home “curb appeal”. Let’s face it: no one wants an eye-sore of any sort in their neighborhood. Even if the only thing you have is a badly worn roof, individuals will be unhappy looking at your roof day in and day out. Installing a new roof on your home will do wonders for the appearance of your home. If you considering selling your real estate, a new roof will help you to attract more buyers as well. What can Shelton Roofing do for you? Our roofing company can provide you with top-notch services in order to restore your piece of mind. We offer a wide variety of roofing services. Call us today and we will give you a free quote!